I just finished up the second set of baby gifts I have been working on for the last couple months. 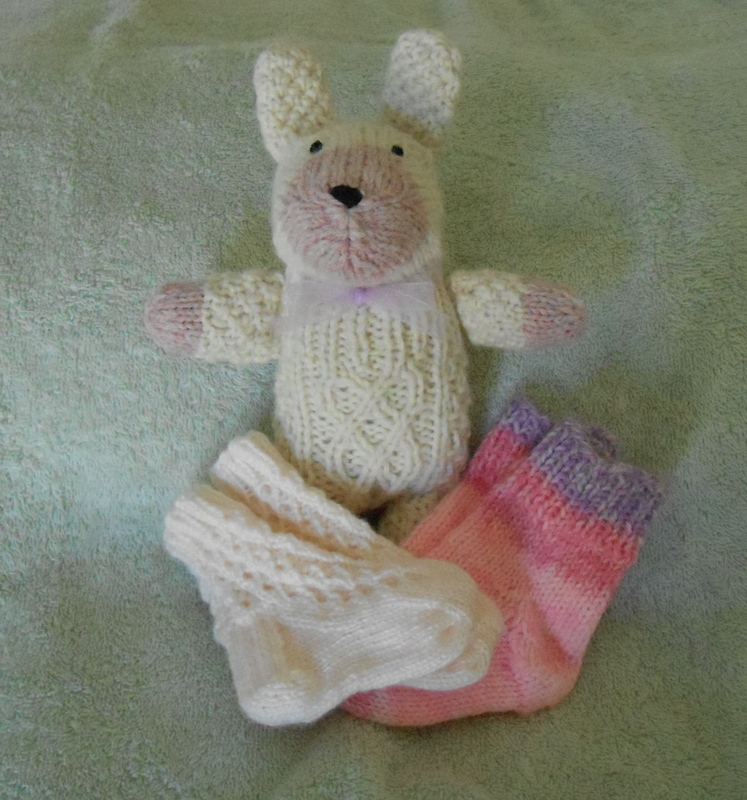 This set has two pairs of socks, one is for newborn – 3 months and the 2nd pair is for 3 – 6 months. I also knitted a small soft toy. The funny thing about this toy is that it is a pattern for a lamb. But, when I put on the ears it looks like a bunny. I have now modified the pattern for the next time, less repeats of the pattern to make shorter ears and tail. My son thinks it looks like a bear and so the toy is a lamb-bunny-bear. Now I can get back to stitching my RR’s. What beautiful gifts. I love the lamb-bunny-bear. It’s cute whatever you want to call it. I am, I am !! !